We identify the major drivers and restraints for every region (North America, Latin America, Europe, Asia Pacific, & Middle East) of any particular market with a weight age value of how it is impacting the market. For each driver and restraint, we provide weightage in short term, medium term, and long term. 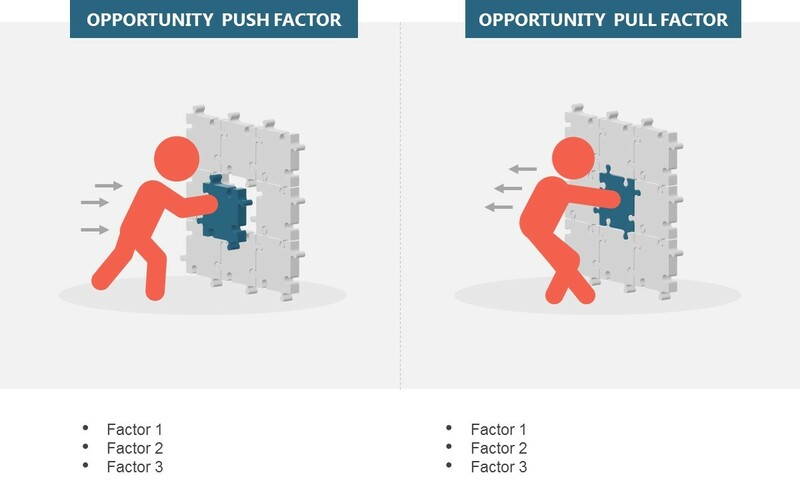 Here the driver acts as a pull factor and restraint as a push factor. The report covers the analysis and forecast of the supercapacitor market on global as well as regional level. The study provides historic data for 2016 along with the forecast for the period between 2018 and 2025 based on total market revenue (TMR) (US$ Mn). A comprehensive analysis of the market dynamics that is inclusive of market drivers, restraints, and opportunities is part of the report. Additionally, the report includes potential opportunities in the supercapacitor market at the global and regional levels. Market dynamics are the factors which impact the market growth, so their analysis helps to understand the ongoing trends of the global market. Therefore, the report provides the forecast of the global market for the period from 2018 to 2025, along with offering an inclusive study of the Supercapacitor market. Segmentation based on the types, that includes, but is not limited to, ultracapacitors, electric double-layer capacitors or EDLC, pseudocapacitors, and more such variations of the supercapacitors provide an in-depth understanding of the market and specific demands based on the segmentation. The study provides a detailed view of the Supercapacitor market, by segmenting it based on by types, by application and by regional demand. Eco-friendly source of electricity coupled with rising demand for compact and high-powered capacitors in the automotive and electronic goods industries proper the growth of the supercapacitor market. Additionally, the multi-functional development of supercapacitor markets fuels the demand of this market. The report provides the size of the supercapacitor market in 2018 and the forecast for the next seven years up to 2025. The size of the global supercapacitor market is provided in terms of revenue. Market revenue is defined in US$ Mn. The market dynamics prevalent in North America, Europe, Asia Pacific, Middle East, and Africa and Latin America has been taken into account in estimating the growth of the global market. Regional segmentation includes the current and forecast demand for North America, Europe, Asia Pacific, Middle East, and Africa and Latin America. The segmentation also includes types, and application in all regions. These include different business strategies adopted by the leading players and their recent developments. Market estimates for this study have been based on revenue being derived through regional pricing trends. TheSupercapacitormarket has been analyzed based on expected demand. 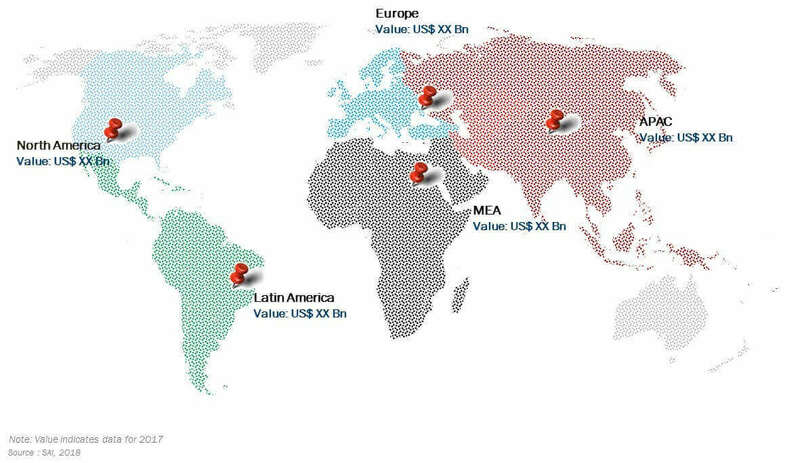 A bottom-up approach is done to estimate the global revenue of the supercapacitor market is split into regions. Based on types, and application the individual revenues from all the regions are summed up to achieve the global revenue for supercapacitor. 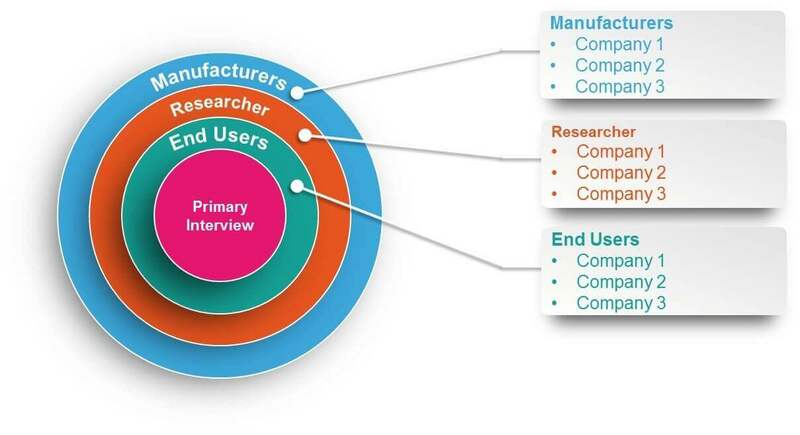 Companies were considered for the market share analysis, based on their innovation and revenue generation. In the absence of specific data related to the sales of supercapacitor several privately held companies, calculated assumptions have been made in view of the company’s penetration and regional presence. The report covers a detailed competitive outlook that includes the market share and company profiles of key players operating in the global market. Key players profiled in the report include ELNA CO. LTD, LS Mtron, Maxwell Technologies, Murata Manufacturing Co. Ltd, NEC TOKIN Corporation, Nesscap Energy Inc, Panasonic Corporation, Robert Bosch GmbH, Seiko Instruments Inc., Skeleton Technologies, VINA Tech Co. Ltd, and Young Electronics Group. What is the application of supercapacitor? What is the global supercapacitor market size? What is the market driving factors behind the global supercapacitor market? What are the market trends and forecast for the global supercapacitor market? What are the global trends and forecasts based on market research and analysis of global supercapacitor market segmentation by payload types? What are the global trends and forecasts based on market research and analysis of global supercapacitor market segmentation by an application? What are the global trends and forecasts based on market research and analysis of global supercapacitor market segmentation by end-use industry? What are the global trends and forecasts based on market research and analysis of global supercapacitor market segmentation by geography? Which are the major global supercapacitor manufacturers? Which are the major global supercapacitor companies? 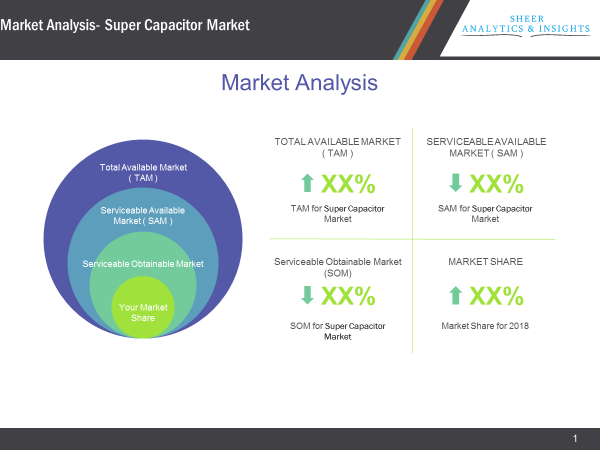 The total market revenue (TMR) of the supercapacitor market is expected to reach at USD 4.3 Billion by 2025 growing at a Compound Annual Growth Rate (CAGR) of 22.1% from 2018 to 2025. Growing need for Supercapacitor among the automotive and electronics industries strongly propels the market growth. The reduction in the price of Supercapacitor coupled with continuous research and up-gradation to expand the life cycle of Supercapacitors are another prime factor augmenting the demand of this market. Moving forward, robust demand for Supercapacitor in energy and manufacturing industries are estimated to create new necessities and augment the market of growth over the forecast period of 2018-2025. The Supercapacitor market has been segmented based on types into hybrid capacitor and pseudocapacitor. Based on application, the Supercapacitor market has been segmented as automotive, aerospace, electronics, energy and manufacturing. The electronics segment is estimated to witness significant growth during the projection period owing to its high usage in the consumer electronics sector. The rising demand for laptops, smart gadgets, power backups, and solid-state disc drives are expected to be the key reason for the increasing applications of Supercapacitors in electronic goods industry. The global Supercapacitor market has been geographically segmented into Asia-Pacific, Europe, North America, Latin America, the Middle East, and Africa region. In addition to this, the Asia-Pacific region holds the largest market share. The reason may be attributed to the rapid adoption of Supercapacitors in the automotive and electronic sectors. The increased usage of Supercapacitor in electronic devices and electric automotive are expected to boost the Supercapacitor market in Asia-Pacific. North America is estimated to be another major contributor to the growth of Supercapacitor market. The rising demand for Supercapacitor manufacturing industry is expected to boost the North America market for Supercapacitor. Europe’s market for Supercapacitors estimated to propel at a significant growth during the projection period, owing to the rising demand for producing eco-friendly and low-cost energy. These reasons are expected to positively influence the market growth during the forecasted period.